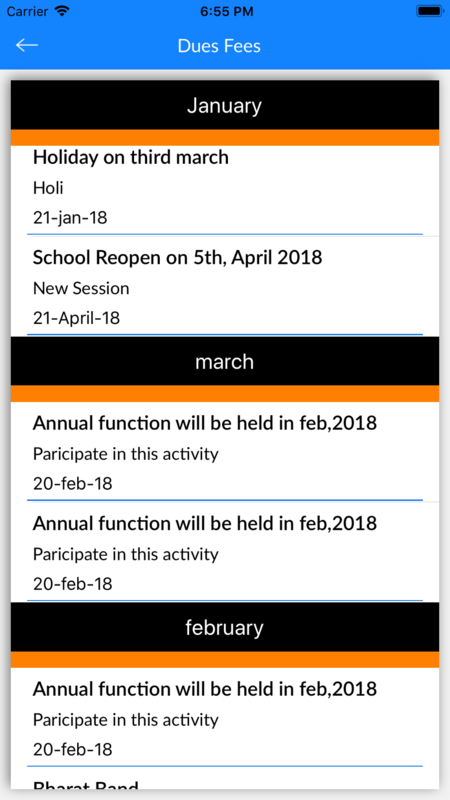 I want to show section title as January,February,March(as per data comes from api) instead of showing January, March, February. I am getting this data from backend api. and when I print sectionTitleArray than console is showing January, March, February instead of showing January, February, March. I know that Dictionary is an unordered collection but I want to know that how to fetch keys by order? This is my tableView .Everything is working fine but I want to display month like JANUARY,FEBRUARY,MARCH as per api data. "title" : "School fees of August, 2018School fees of August, 2018"
"title" : "Holiday on third march"
"title" : "Annual function will be held in feb,2018"
Not the answer you're looking for? Browse other questions tagged ios swift uitableview nsdictionary indexpath or ask your own question.